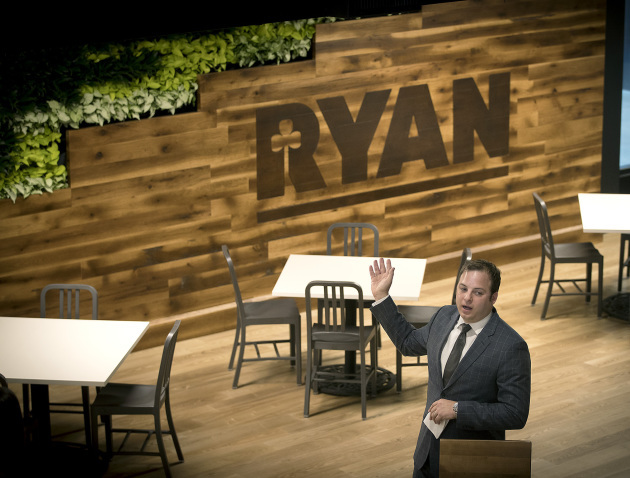 After more than a year as the sole occupant of the Millwright office building it constructed in the East Town district of downtown Minneapolis, Ryan. Cos. has finally snagged a new officemate. Rally Health, a digital healthcare company, has signed a lease agreement at Millwright, said Tony Barranco, senior vice president of real estate development at Ryan Cos.
Rally Health didn’t respond to requests for comment Thursday. Minnetonka-based UnitedHealth Group has a majority stake in Rally Health. According to its website, Rally has offices in San Francisco, Washington D.C., Chicago, Denver and the North Loop of Minneapolis. It is unclear exactly how many employees would move to Millwright and where these workers would be relocated from. More details on the lease will be released soon, Barranco said.